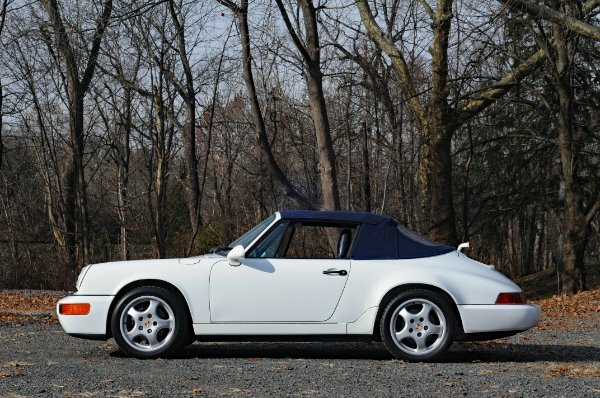 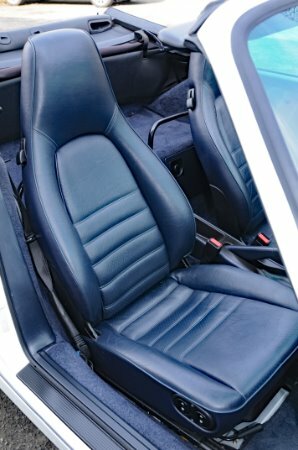 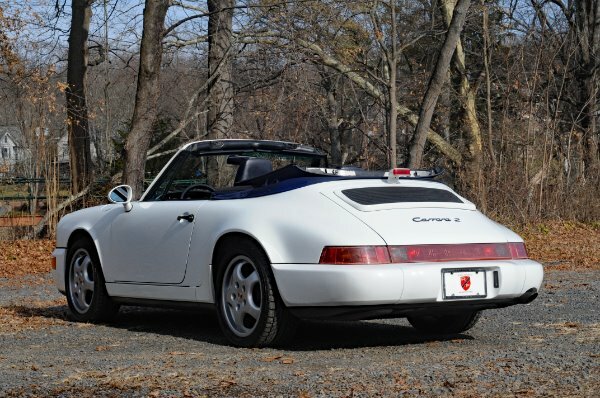 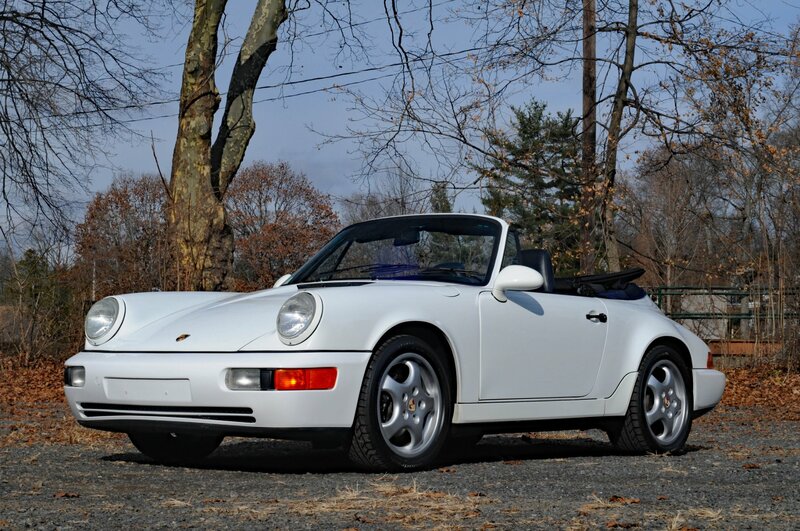 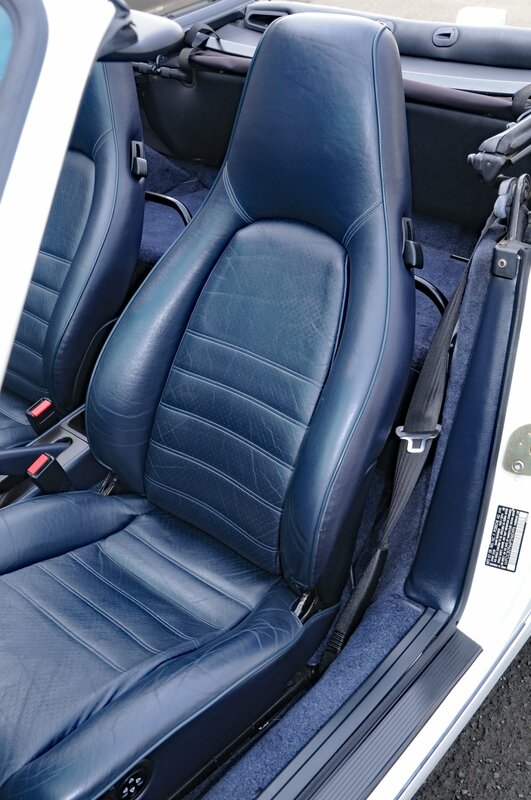 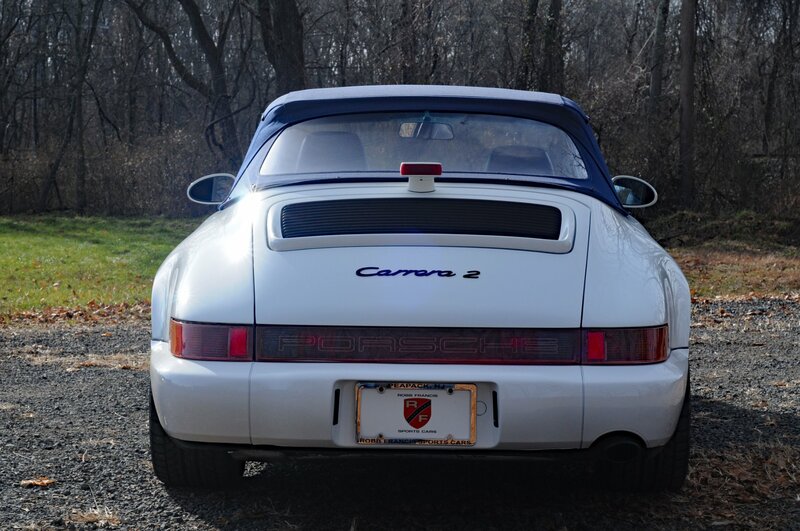 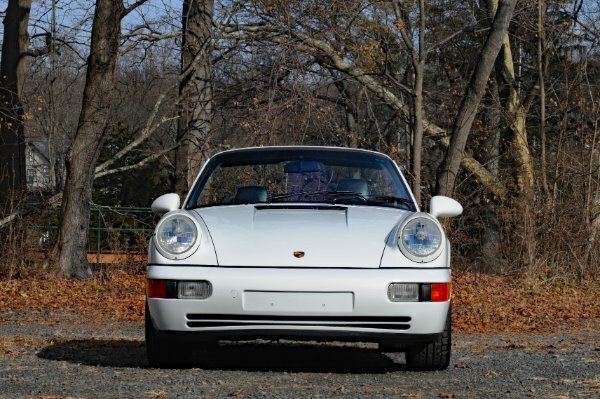 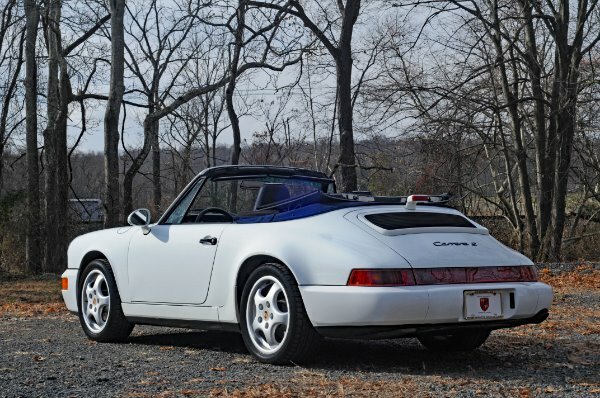 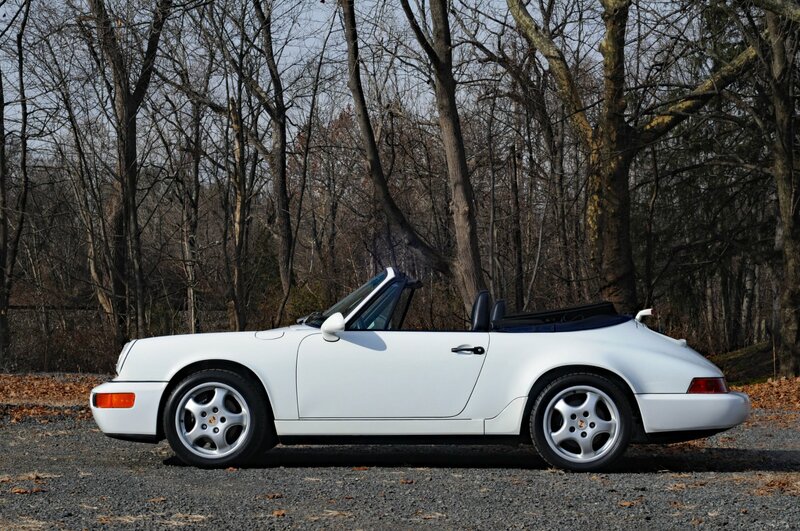 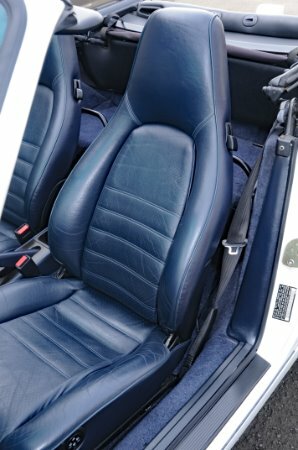 For your consideration is this very special 1993 Porsche 911 Carrera 2 Cabriolet, finished in Grand Prix White over a full Blue interior with just over 48k miles from new. 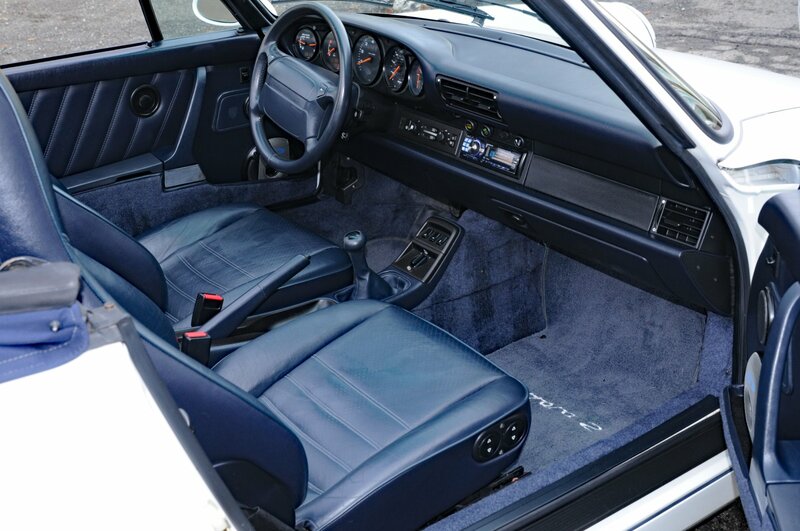 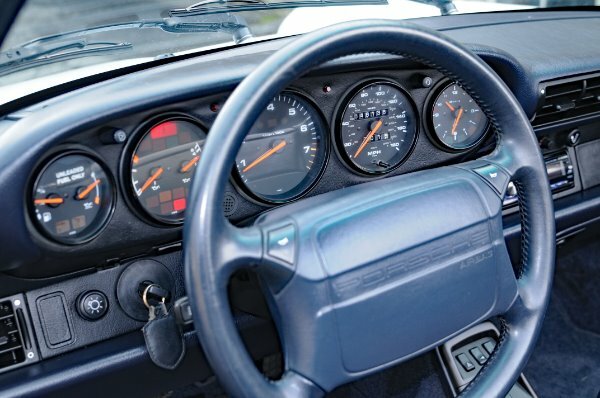 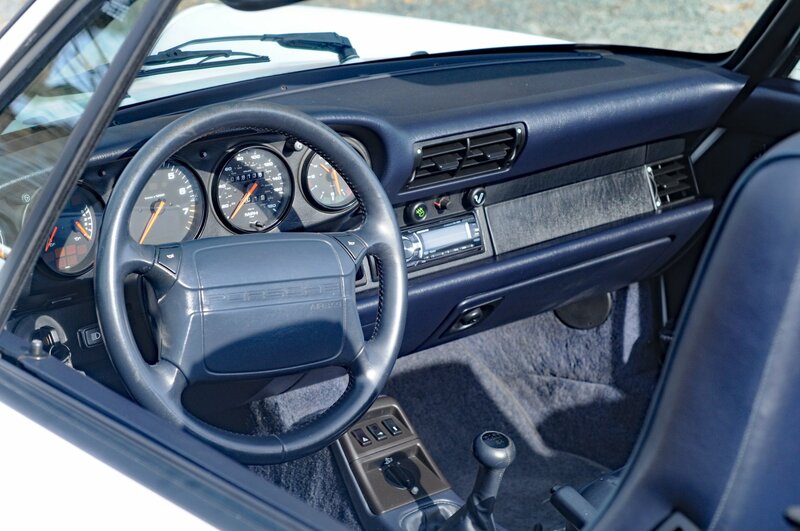 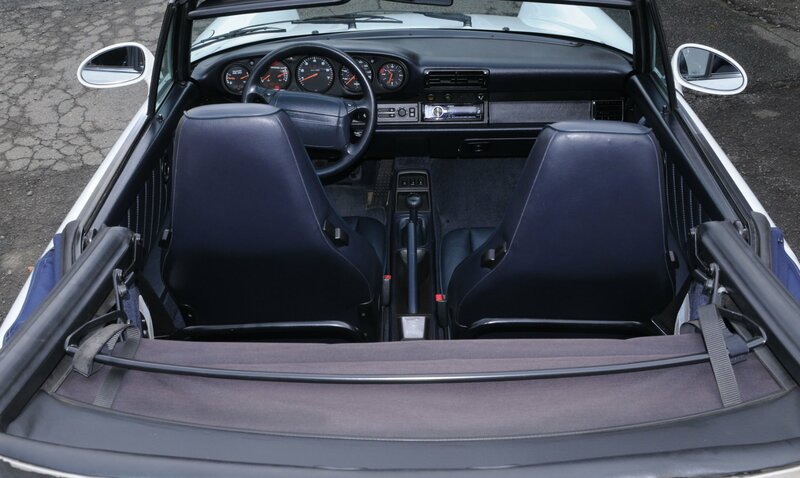 The 964 presents itself extremely nicely, and continues throughout the driving experience - the car drives extremely well, it pulls hard, handles nicely, and the air-cooled flat-six never skips a beat. - This 964 had been owned locally for the past few years by it's previous owner, and since then they have decided to part ways as they were in the market for something different. 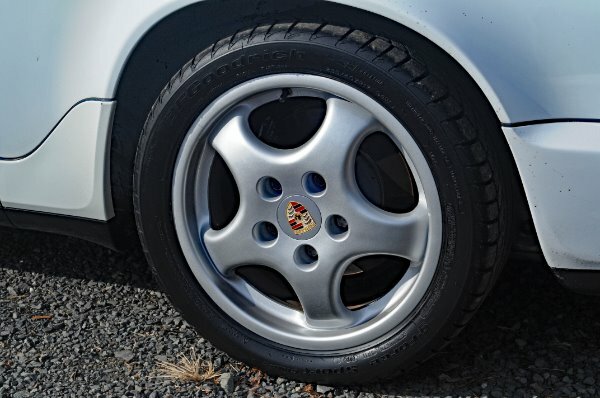 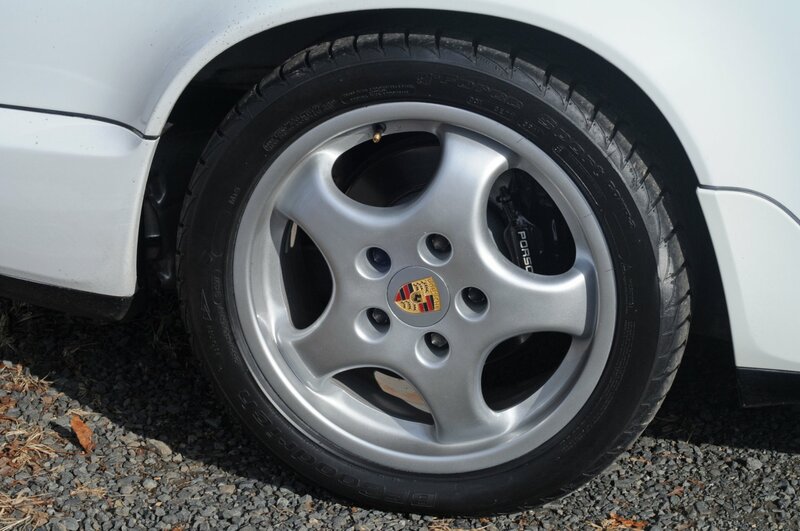 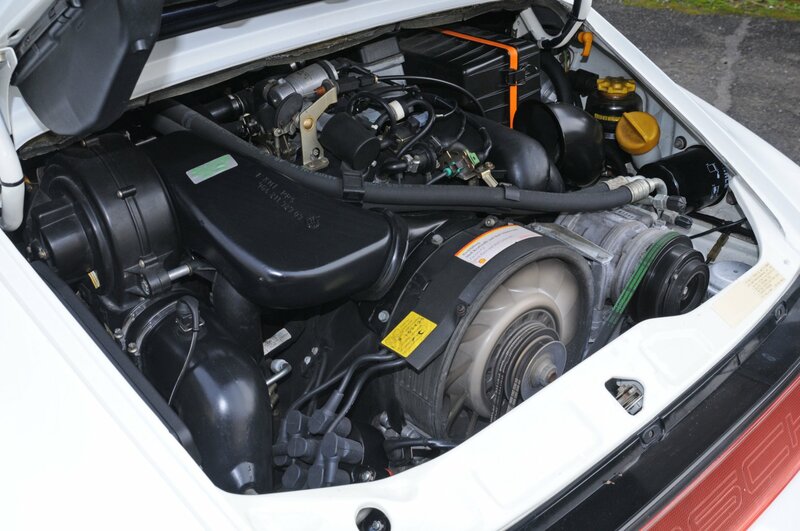 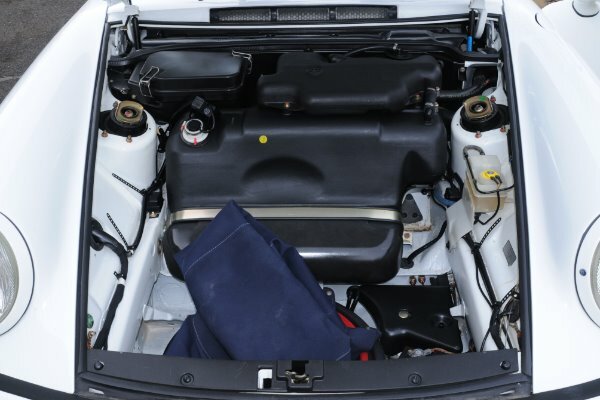 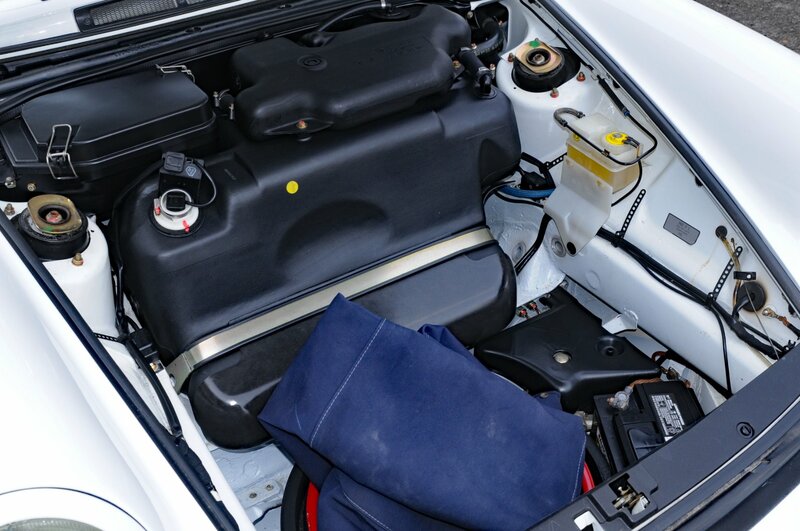 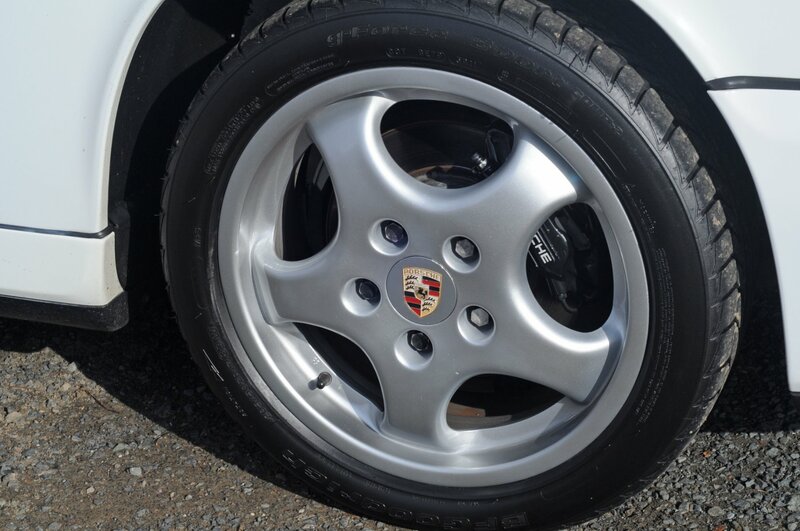 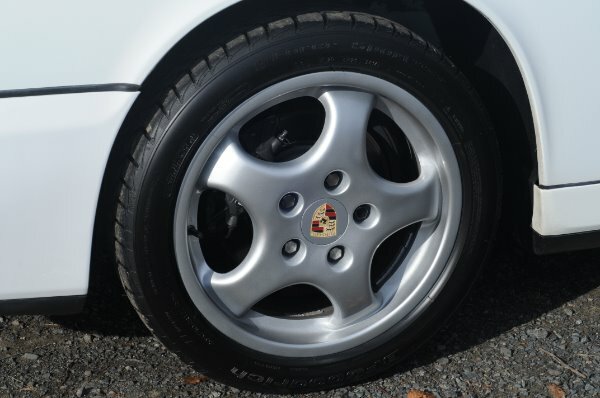 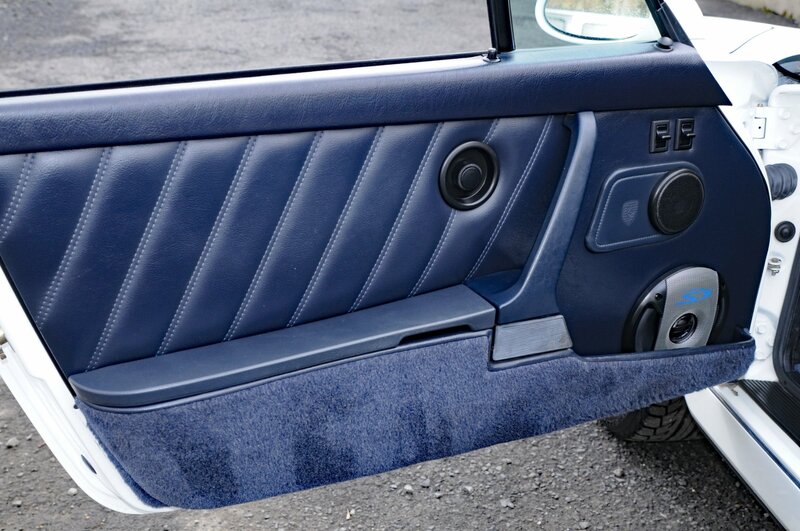 The car has been pampered and cared for very well with no expenses spared by it's previous owners, and it certainly shows upon initial inspection of the car, but even more so when you get behind the wheel. 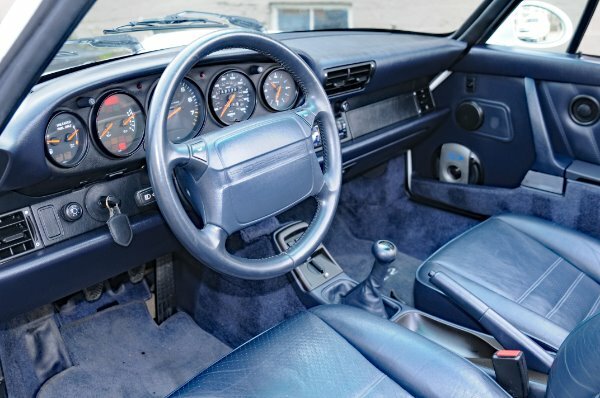 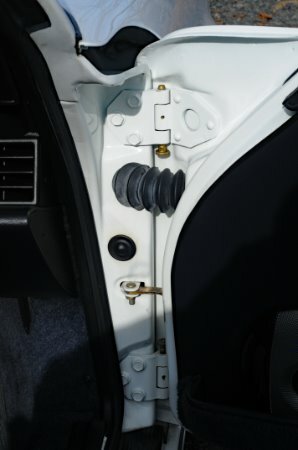 Everything works as it should, and the car is turnkey and ready to go for years of enjoyment and driving pleasure for it's next lucky owner. 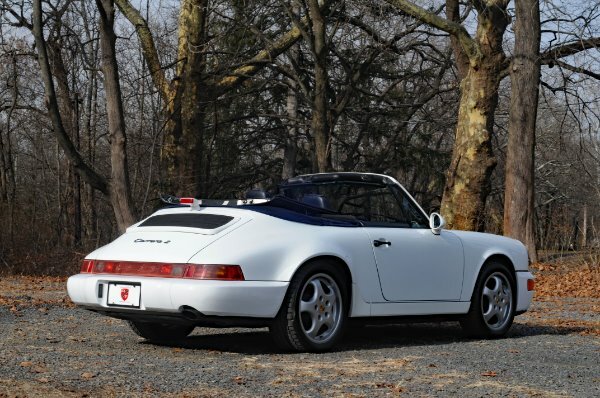 The Grand Prix White presents itself extremely nicely. 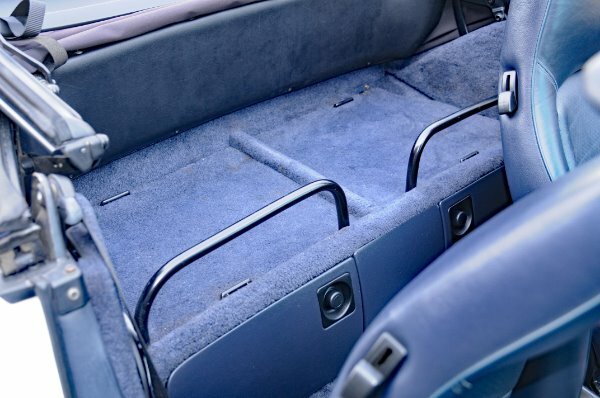 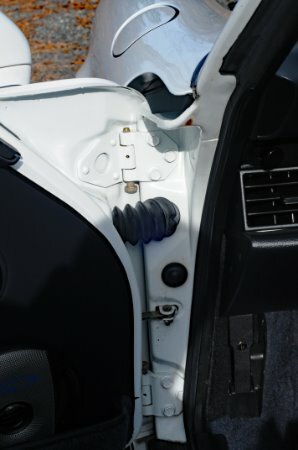 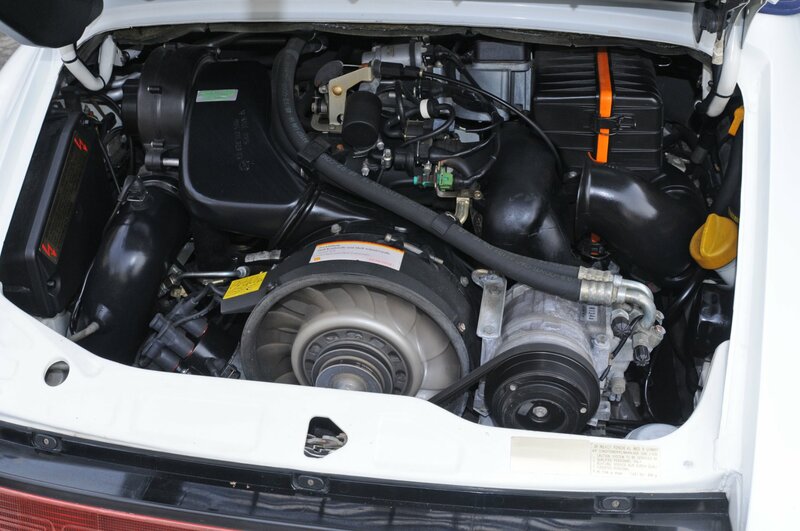 These air-cooled cars have proven to hold their values extremely well, more so than the water-cooled 911's which still suffer from depretiation depending on the trim and model year, along with options. 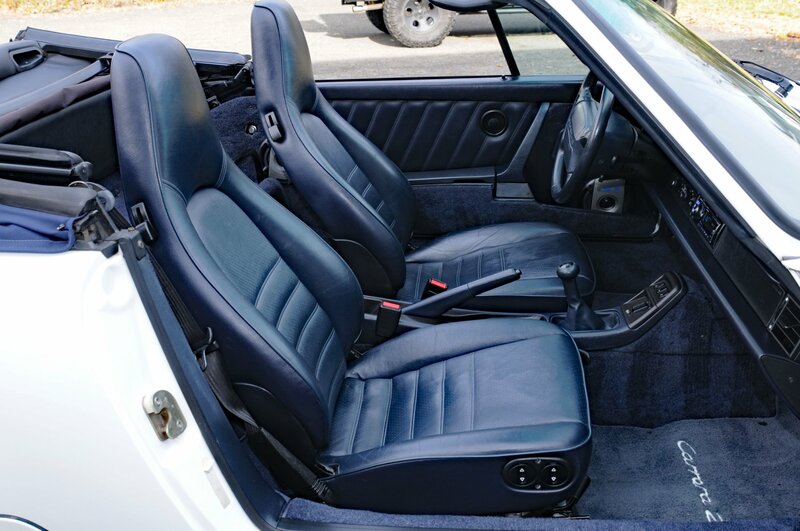 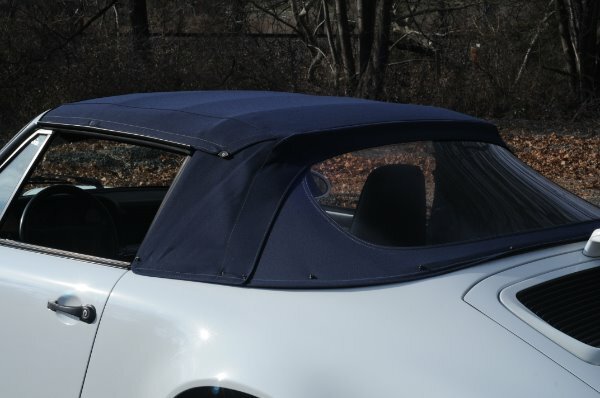 - Everything on this car matches the options list (shown in the gallery), and is ready to hit the road for some top-down driving just in time for the summer! 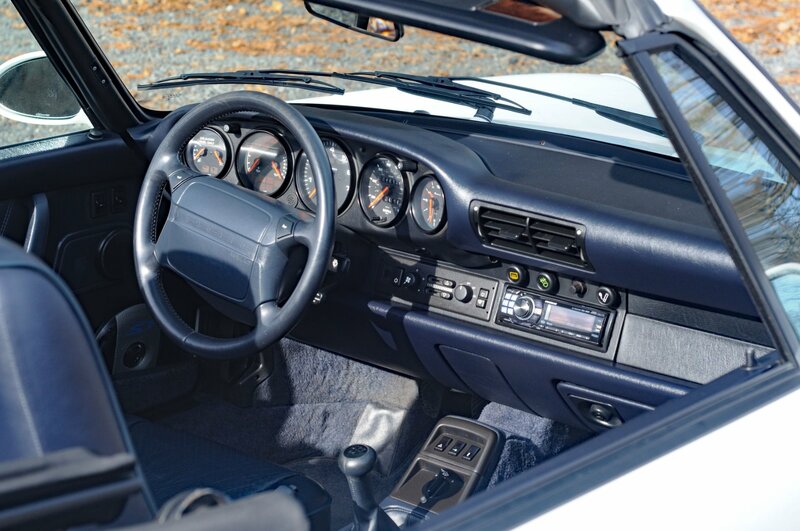 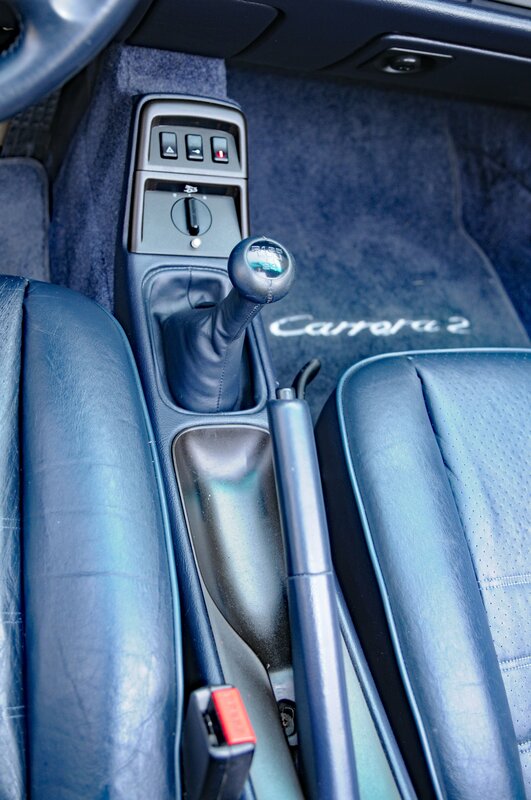 The only component to this car that is not factory is an aftermarket high-end Alpine head unit in place of the factory Porsche radio. 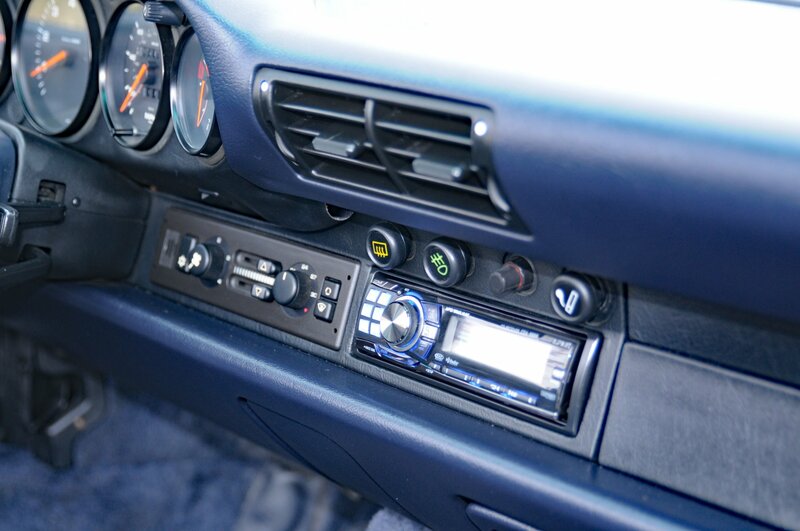 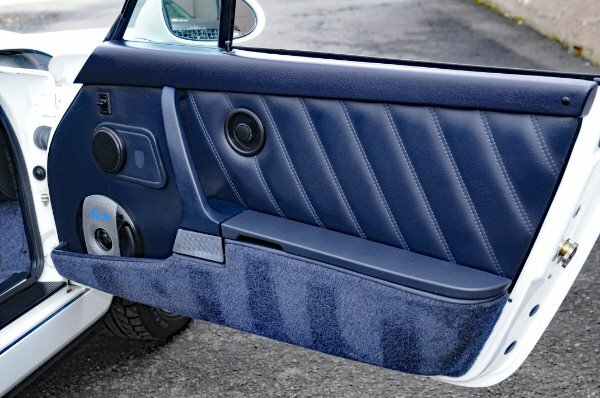 This adds functions such as aux input, Bluetooth, iPod connectivity, and more! 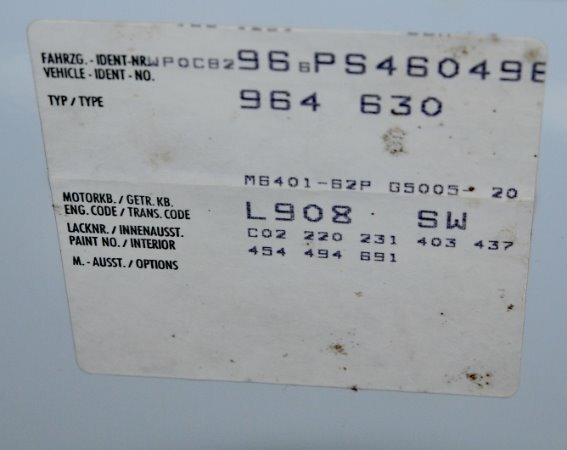 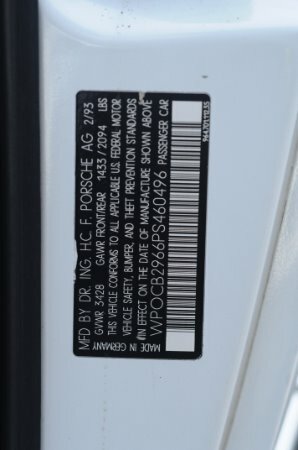 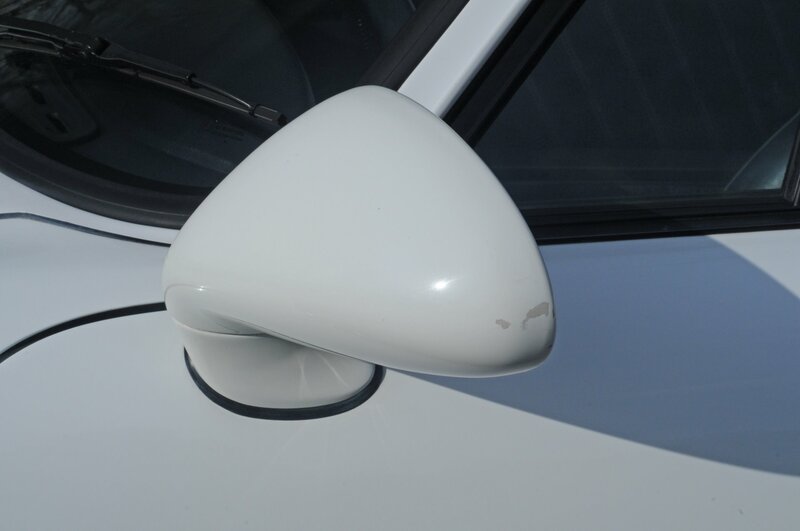 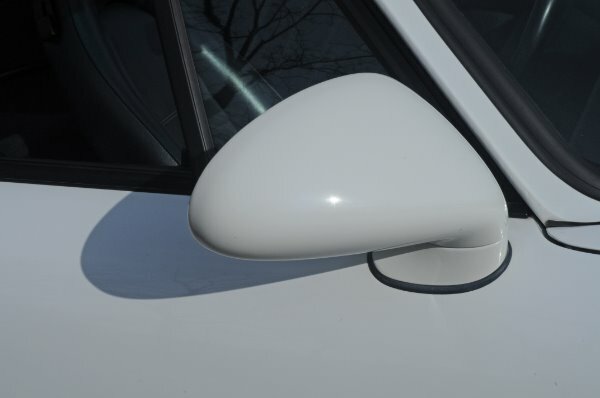 Car comes with a clean Carfax which is available on our website for your consideration. 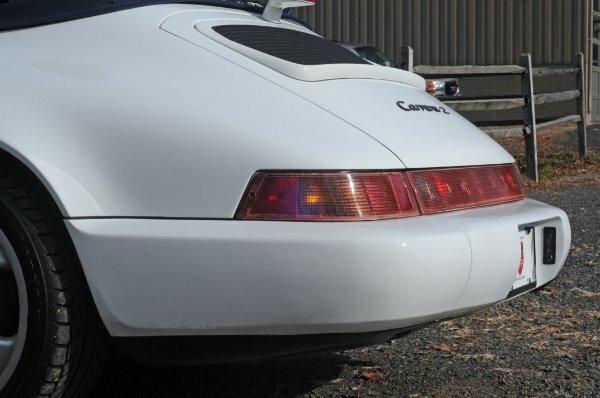 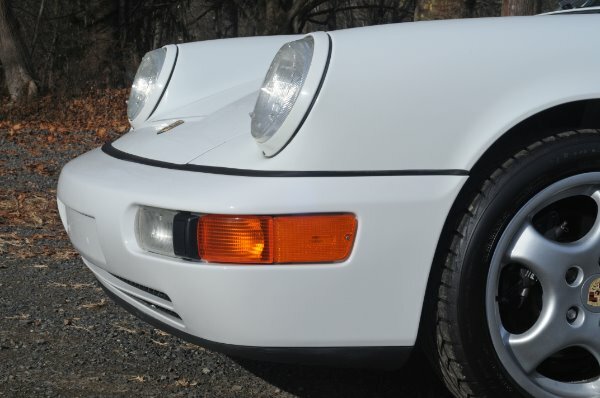 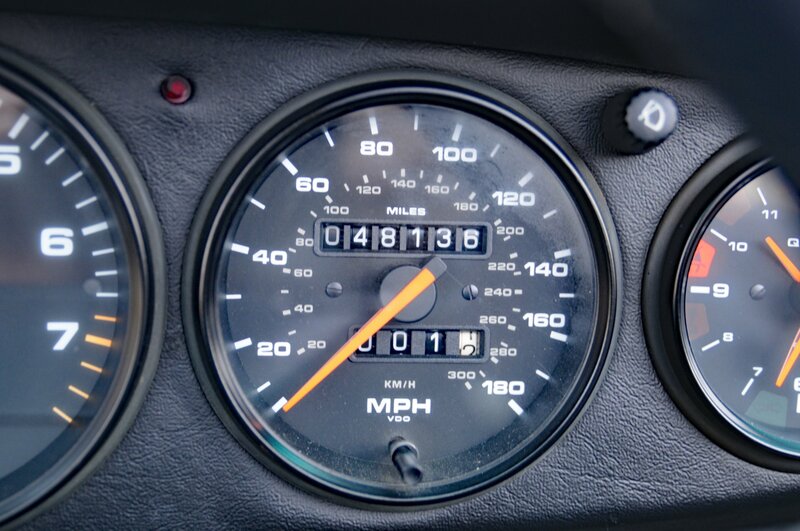 Don't miss out on your chance to own a very uniquely specc'ed 964 if you're in the market for an air-cooled Porsche! 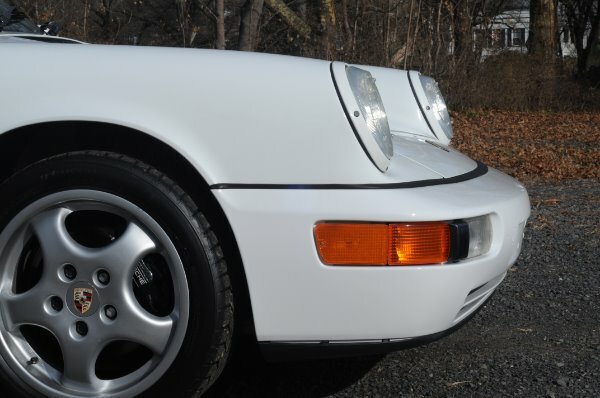 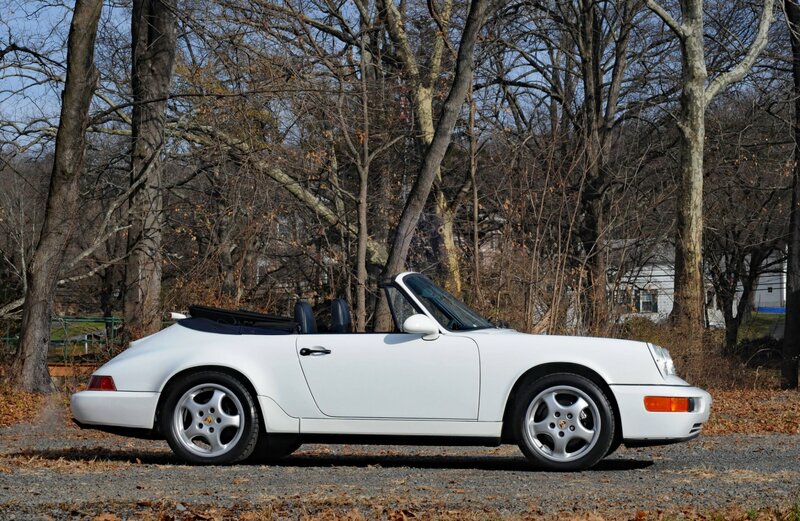 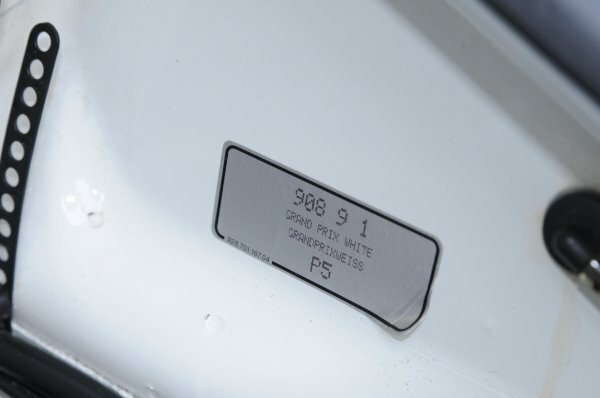 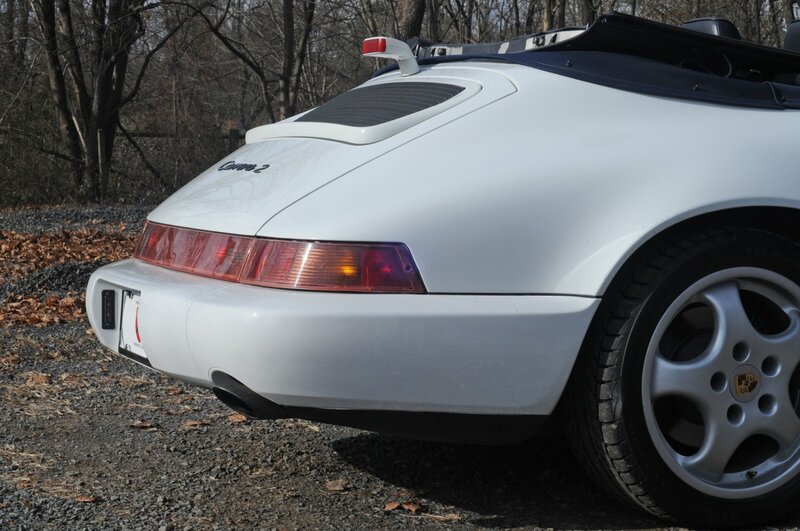 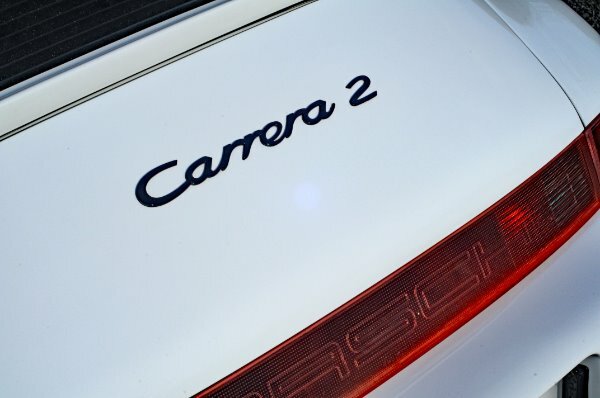 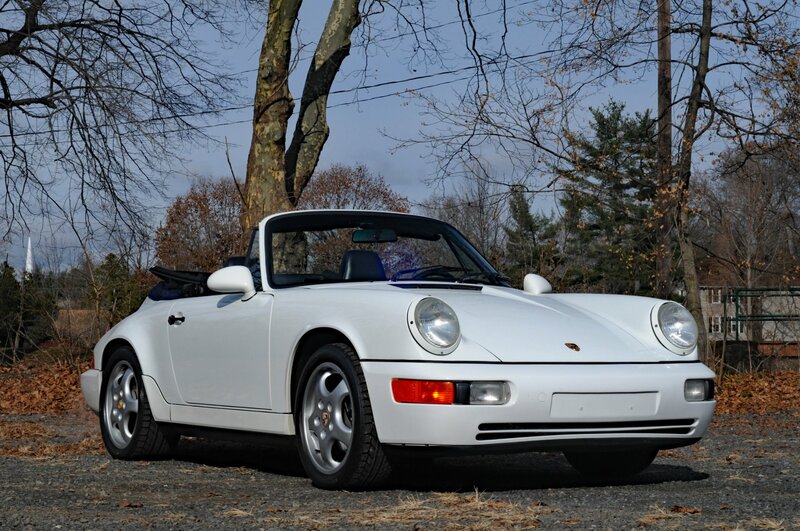 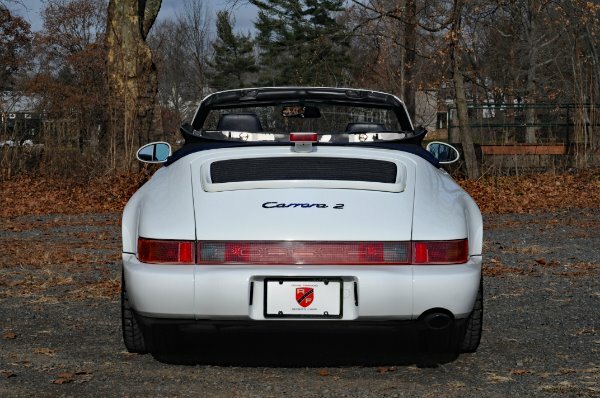 - Call or email us anytime with any questions about our Grand Prix White 964 Cabriolet!